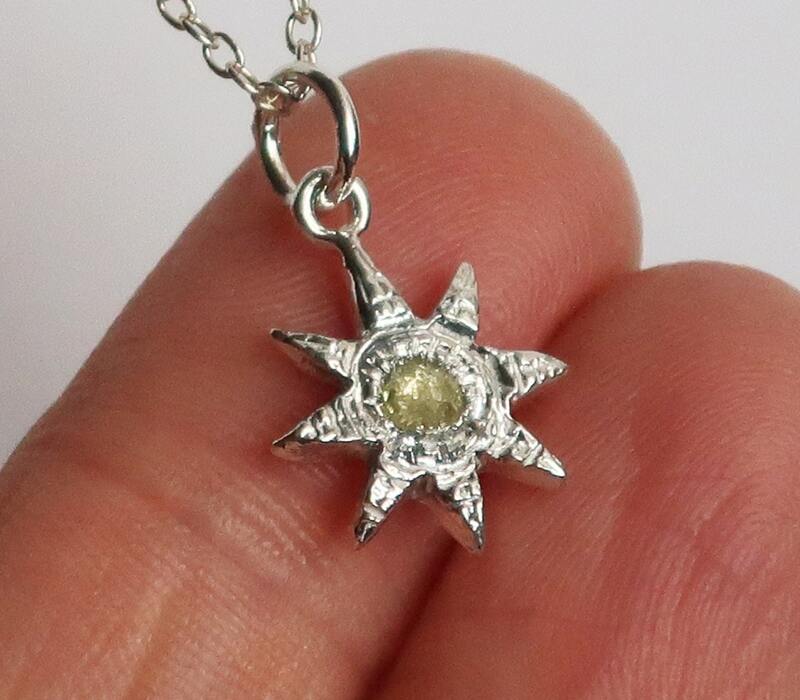 A magical Sterling Silver star set with genuine a 3.1mm rose cut pale yellow diamond. 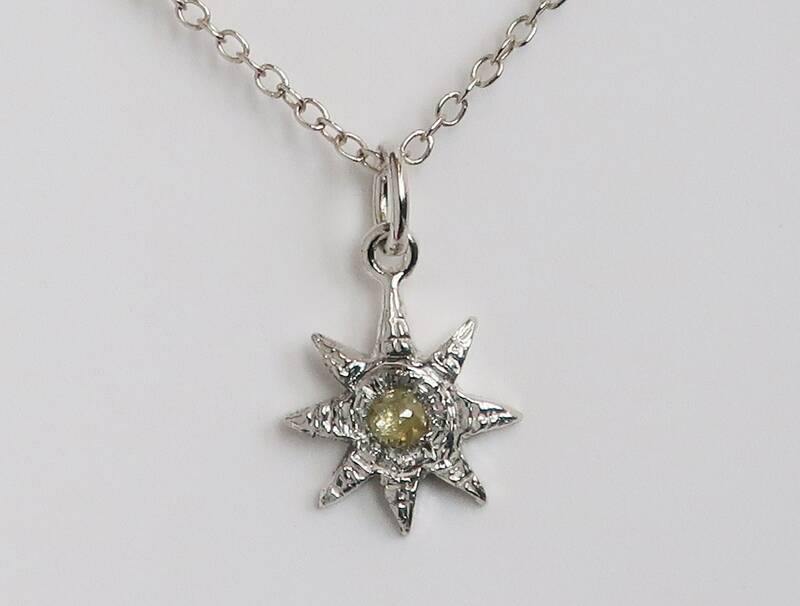 Available as charm only or hung on your choice of 40cm or 46cm Sterling Silver 1.5mm wide cable chain. I love this charm! 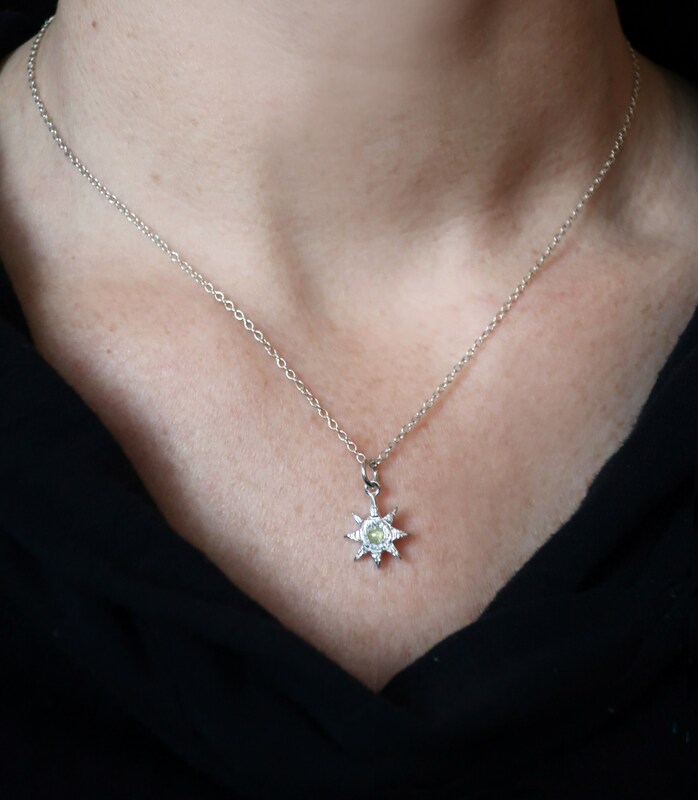 When I sculpted the original wax model I was thinking of the sun, but once it was finished, it reminded me more of an ancient twinkling star, which is fine. 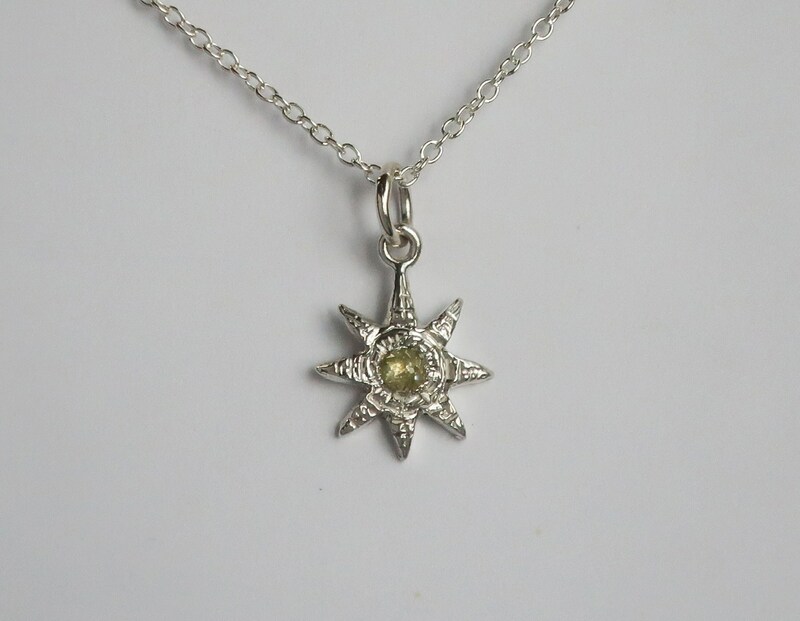 Our sun is a star after all! I'll leave it to you to decide which you think it most resembles! 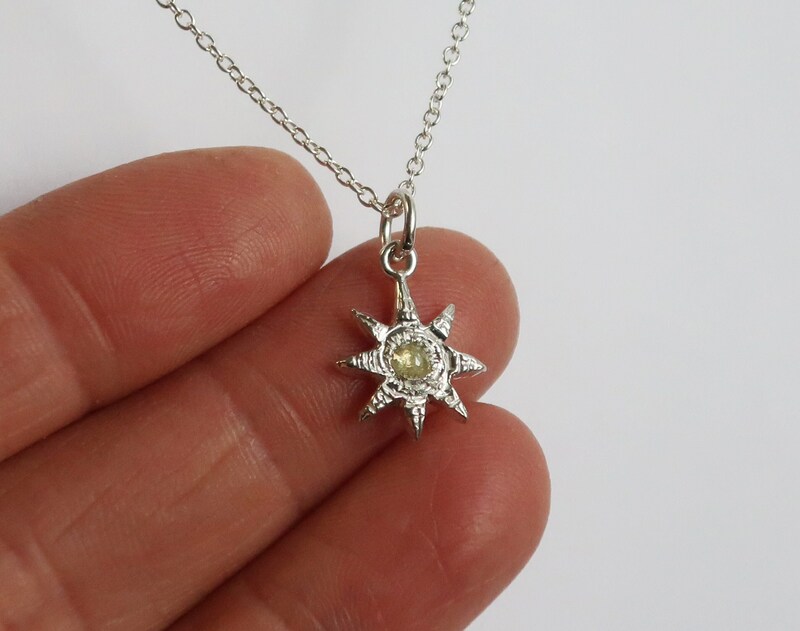 This diamond is one of a kind, but please feel free to contact me for a quote and timing if you would like me to make you a charm with a different yellow or off-white rose cut diamond.